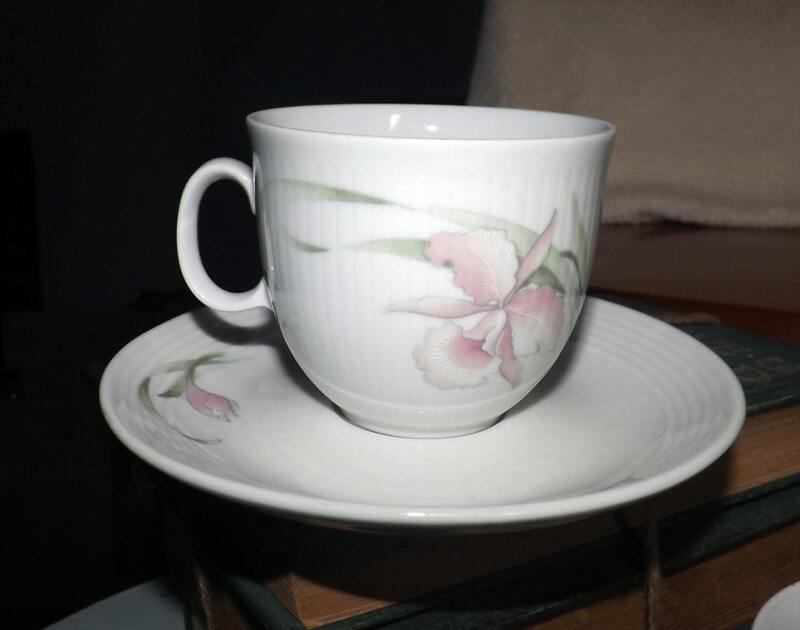 Mid-century (1950s) CP Colditz | Colditz Porzellan B43 tea set (flat cup with saucer). Made in German Democratic Republic. Pink Iris. 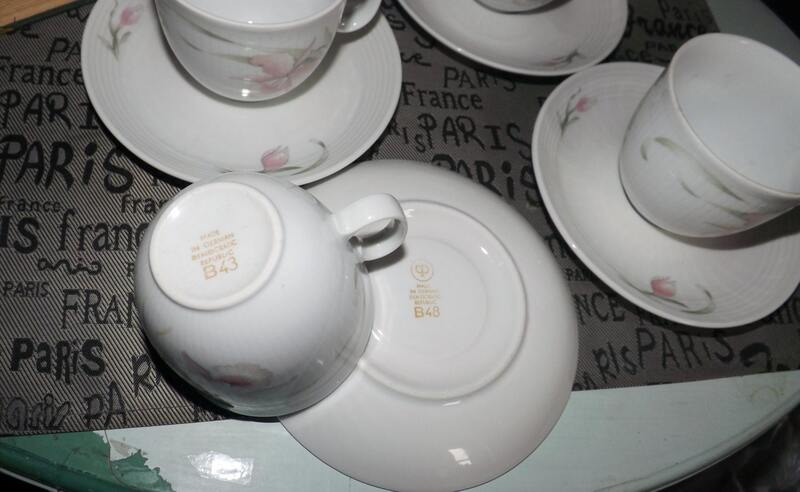 Mid-century (1950s) CP Colditz | Colditz Porzellan tea set (flat cup with matching saucer) marked B43 to base. 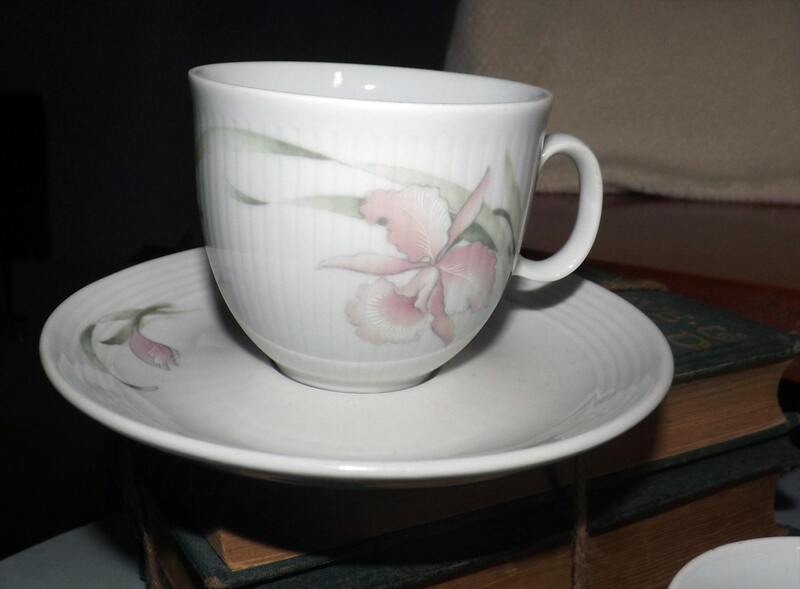 This cup and saucer features bursts of pink iris flowers and greenery set against a white ground with a gently ribbed edge. Made in The German Democratic Republic. In EXCELLENT! condition with NO! chips, nicks, cracks, or fleabites, NO! crazing and NO! marks, stains, scratches or other signs of use or wear. The pink iris florals are bright and vivid with NO! fading. 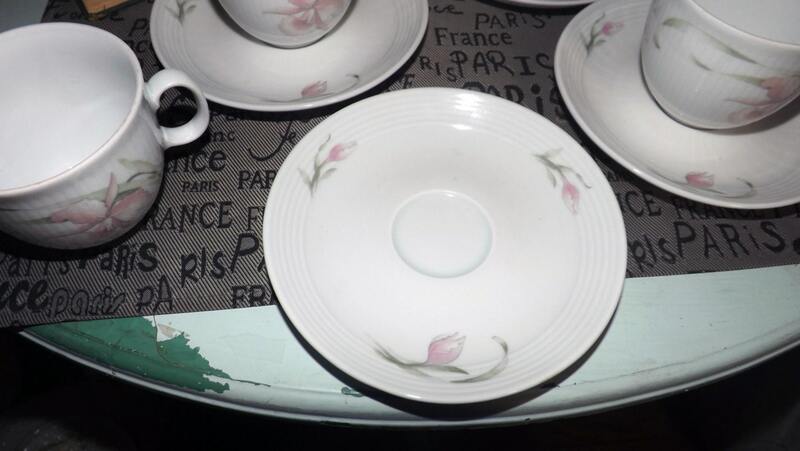 THIS LISTING IS FOR ONE (1) CUP WITH ONE (1) MATCHING SAUCER. 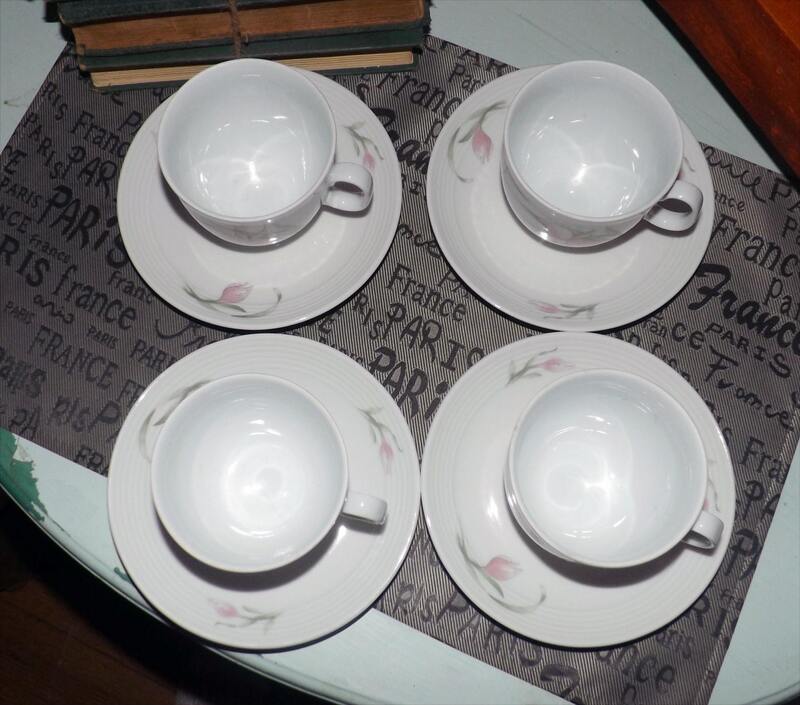 Currently, more than one cup and saucer are available in the shop.